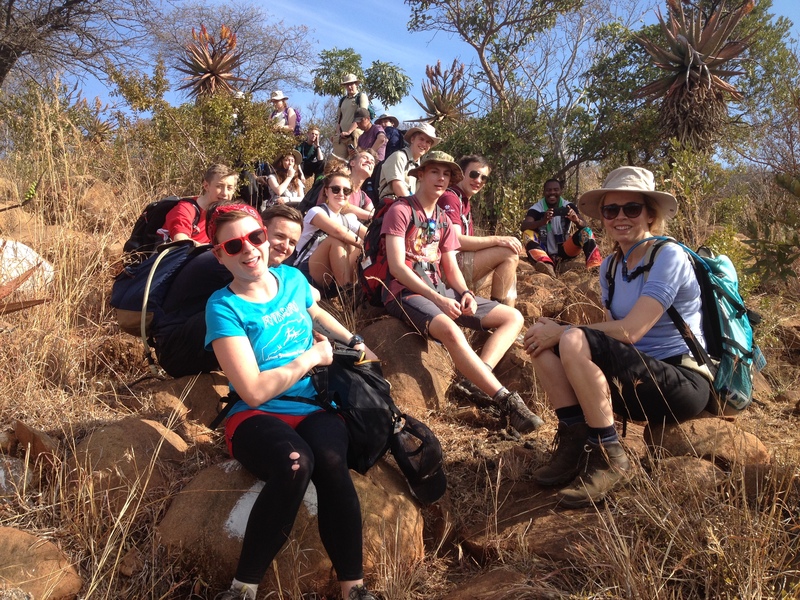 Two days after the end of a busy year 14 cadets and 3 staff from Bromsgrove School Combined Cadet Force embarked on a three week expedition of a lifetime to some of the remotest areas of KwaZulu-Natal in South Africa. 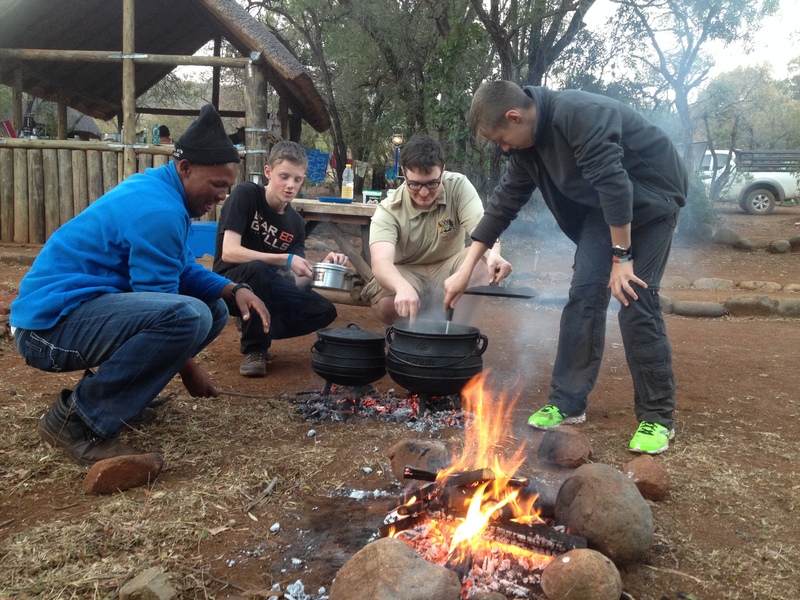 The aim of the expedition was to give the cadets an opportunity to develop self-reliance and resilience whilst learning about the culture and history of South Africa. The experience was truly life changing for the cadets as their parents now had documentary evidence of them getting up early; preparing and cooking meals for 20 people over an open fire; washing up; tidying their rooms; washing their own clothes; sharing a hut/tent with several other people; repairing gutters; painting walls; replacing window panes; navigating in unfamiliar terrain; socialising without social media; trying new and exotic dishes; learning a new language; entertaining small children; and last but not least coping with a 24 hour tummy bug with only an outside toilet and a tin bin for company. Worst still the cadets were seen to be doing all of these things without complaint, cheerfully and with a real sense of pride and camaraderie! Joking aside it is these skills that are often overlooked in favour of a chronological list of events when telling the story of an expedition, however like all other cadet exercises the many and varied activities undertaken facilitate the personal development of the individual rather than simply being an end in their own right. Our expedition was split into 3 distinct phases: The environmental phase, a tour of the Zulu War Battlefields, and the trekking phase. 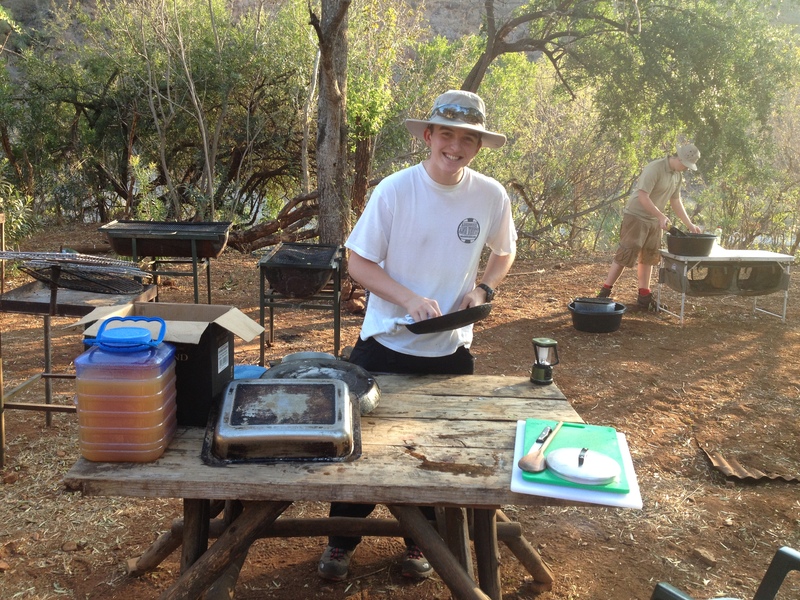 During the environmental phase cadets lived under canvas in the Ithala game reserve tracking the animals on foot (accompanied by an armed ranger) and cooking on open fires whilst game wandered freely through the campsite. Giraffe, Wildebeest, Zebra, Buffalo, Kudu, Impala and Warthogs were found in abundance but the highlight of this phase was tracking and eventually observing a breeding herd of 26 elephants as they crossed a river bed below us. 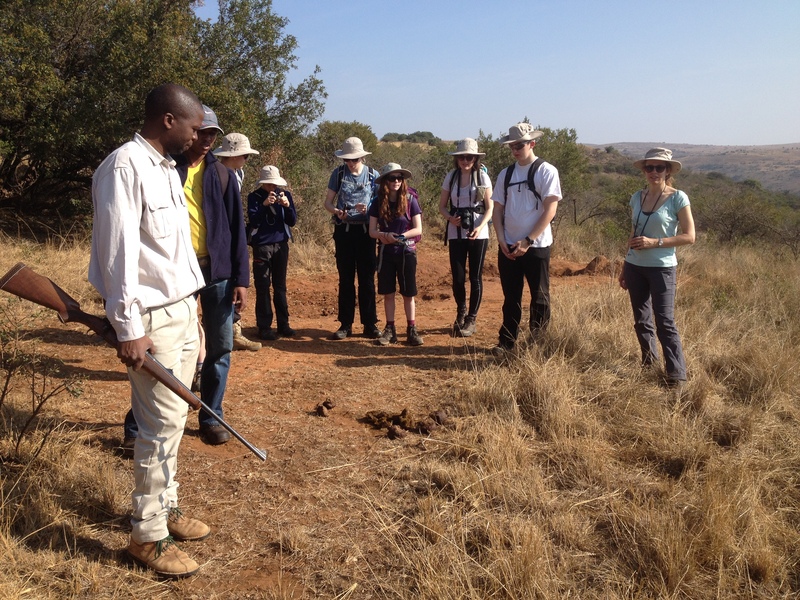 The battlefield tour took us initially to Rorke’s Drift where the story of the crossing of Lord Chelmsford’s column into Zululand in 1879 was graphically retold by our Zulu guide Thulani, whose Great Grandfather and Uncle both fought in the war. We then moved on to Isandlwana, site of the historic British defeat as depicted in the film Zulu Dawn. The site still has an eerie feel to it as it is littered with white cairns marking the graves of the 800 soldiers who died in the engagement. We then followed the Fugitives Trail – the 8km route taken by the few soldiers who fled the battlefield hoping to cross the Buffalo River back into the safety of Natal. The heat of the day combined with the broken terrain, the presence of many more cairns scattered down the route, and having to wade across the river to reach Natal really brought home the desperate nature of the pursuit. Our final day was spent back at Rorke’s Drift listening to the heroic story of its defence by the 120 men of B Company The South Wales Borderers. The gospel singing drifting out over the battlefield from the church at the mission station made Thulani’s summing up of the consequences of the war for the Zulu nation all the more poignant. Having been in country over a week we eventually arrived at Entabeni, an old farmstead converted into an environmental study centre at the foot of the Drakensberg mountains. 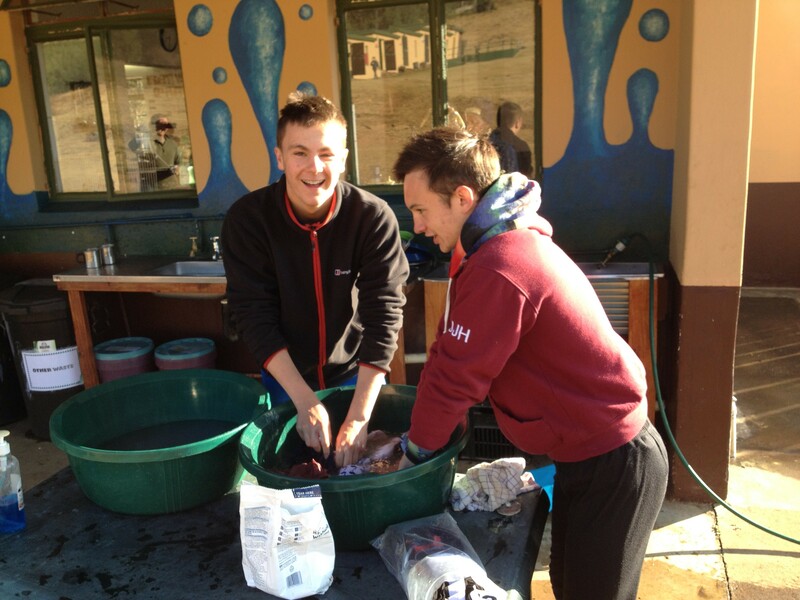 The cadets made themselves comfortable in the converted stable blocks which were going to be their base for the rest of the expedition, and enjoyed a shower in water heated in an old oil drum over an open fire. 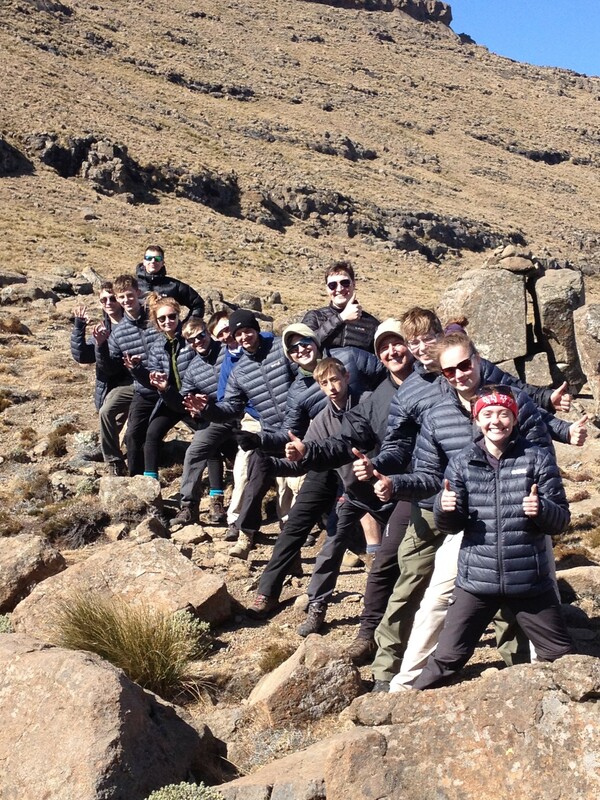 Many varied activities were undertaken over the next few days in order to help aid acclimatisation prior to their trek. 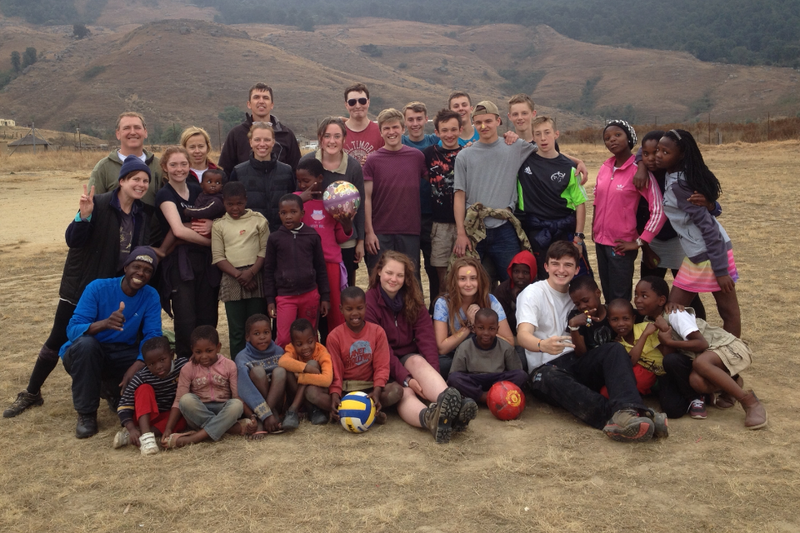 These included Abseiling, visiting local rock art sites, a tour of a crane rehabilitation centre and a real highlight which was engagement with the local Zulu community by conducting extensive repairs to the windows and gutters of their school, enjoying time to share a traditional meal, and running games and sports with the children who melted the hearts of many of the cadets. Having fully acclimatised it was time for the trek to commence. 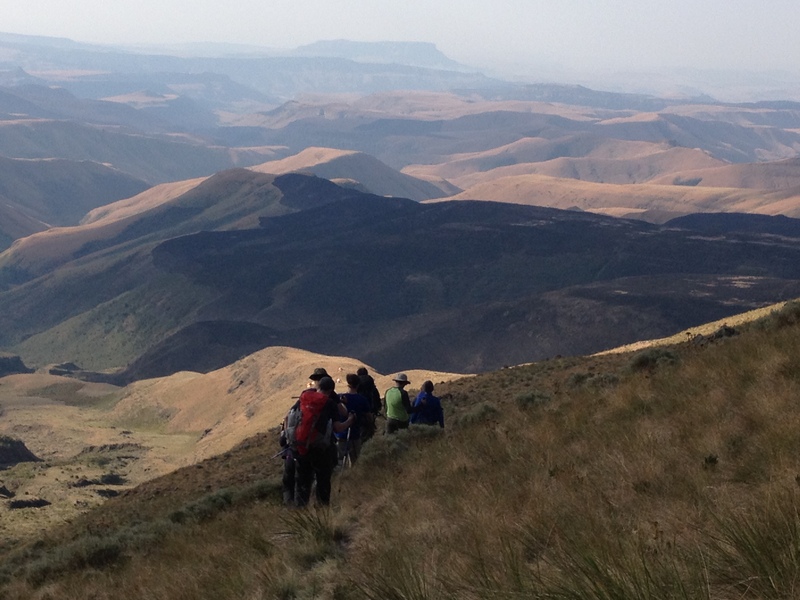 A final day of preparation, packing, and detailed map planning was followed by an early morning deployment in their groups onto their pre-planned routes into the Drakensberg mountains. 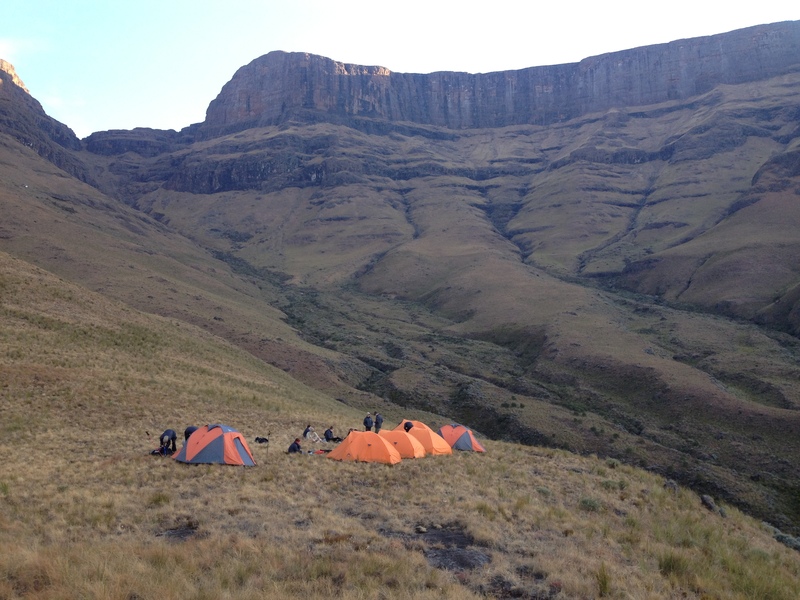 The trek provided some absolutely spectacular wild camping opportunities and the cadets spent many hours lying outside at night enjoying the unspoilt views of the Milky Way as jackals howled in the distance. 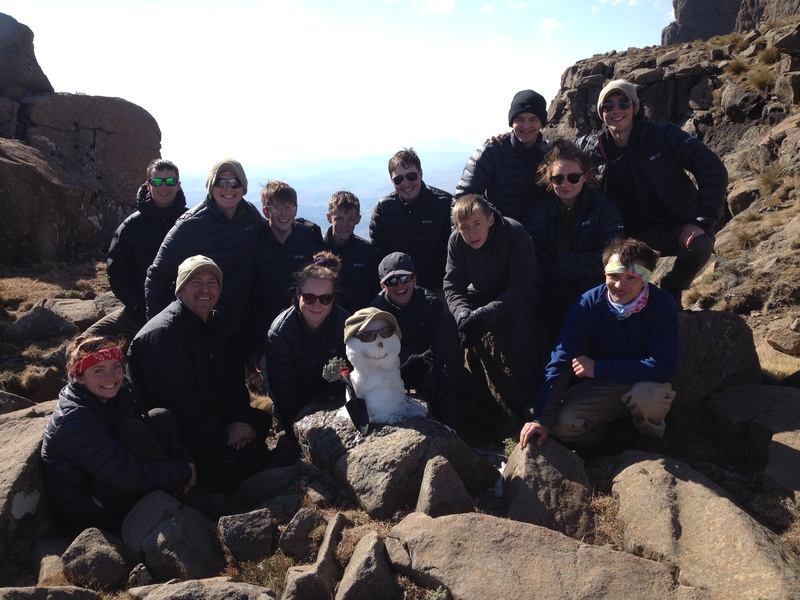 A particular highlight was crossing into Lesotho for lunch via the Giant’s Pass and building a snowman prior to departure! The final day of the trek was accompanied by classic mountain weather and after a quick change out of shorts into waterproofs the groups successfully navigated their way to their finish points in low visibility and driving rain, a major achievement in such unfamiliar territory. Back at Entabeni there was just enough time to hand back the trekking kit and have a final and highly competitive inter-group Potjie (“small pot food”) competition – this is a stew prepared outdoors in a round, cast iron, three-legged pot – the potjie – descended from the Dutch oven brought from the Netherlands to South Africa in the 17th century. Having spent so long in the wilder areas of the country the cadets were treated to a final day on the Durban beach front prior to boarding the plane for the long trip home. The First World War German General Helmuth Von Molke famously stated that “no plan survives contact with the enemy”. Having spent 2 years planning this expedition I was very aware of this fact and understandably nervous about the potential pitfalls we would face in South Africa, from group interactions, home sickness, injury and the unforgiving nature of the environment we were entering. All of the issues we encountered including a very debilitating 24 hour bug were dealt with superbly by the cadets. What could have been mountains to climb were mere bumps in the road due to their irrepressible spirit and sense of unit pride. 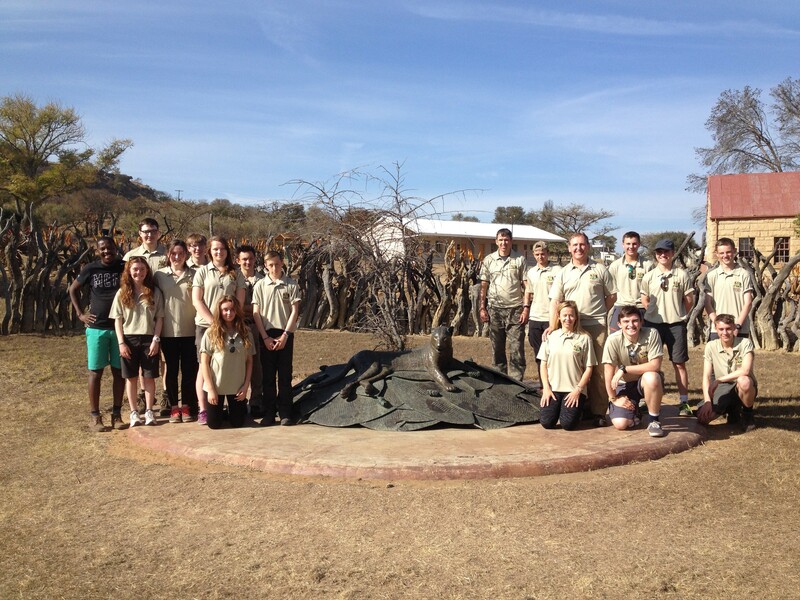 Well done to one and all for completing an exciting, fulfilling and unforgettable adventure of a lifetime.